What set Balaji Mohan’s Maari apart was its unmistakable ability to take itself less seriously, even though the film was always the tale of a ‘dreaded’ gangster. 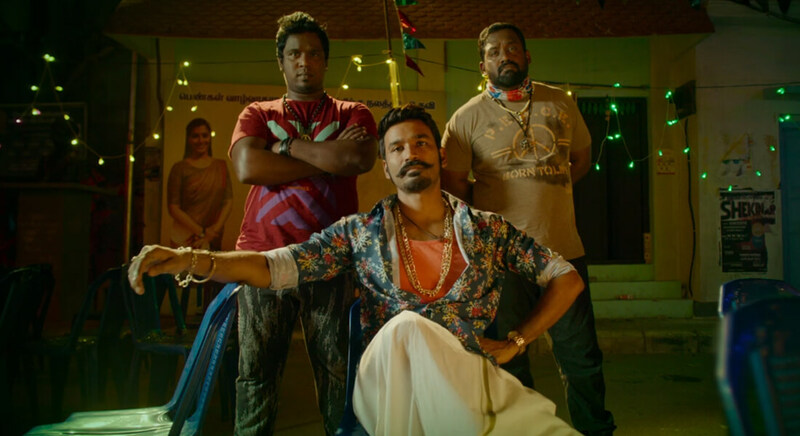 From the trailer of Maari 2, the same spoofish likeability returns as Dhanush’s Maari relocates from the streets of Triplicane and Chintadripet to a more peaceful place, but with just as many gangsters. It’s the same likeability that makes it acceptable when he puts a comic spin on a line as corny as ‘If you’re bad, then I’m your dad’. If the first film was set in the world of pigeon racing, the sequel seems to be set in a coastal town with recurring images of ships sailing past the port. Even the villain, played by Malayalam star Tovino Thomas, brings in a fun twist when he hams his Bohemian dreadlocks and proclaims, ‘Savukku Kadavul Naan (I’m the god of death)’. Sai Pallavi, who replaces Kajal Aggarwal as the heroine, too is hilarious as she plays an auto driver named ‘Aarathu’ Anandhi, who seems to madly pursue Maari. She also seems to be a big fan of Maari the film, given how her name adorns her rickshaw borrowing the typography from it. Other cast members include Krishna, Varalaxmi Sarathkumar apart from Robo Shankar, who reprises his much-loved character from the first part. Yuvan Shankar Raja replaces Anirudh in the sequel and his song ‘Rowdy Baby’ has already topped the charts with over nine million views. Cinematography is by Om Prakash who had also shot the first film. Maari 2, directed by Balaji Mohan, is expected release on December 21. The naughtiest don is back and we can’t wait.